sasha: Banana Pill Euro tour!! Lately i've been spending all the late evenings making CD and tape covers, because very soon Jozik records distro is going on tour! 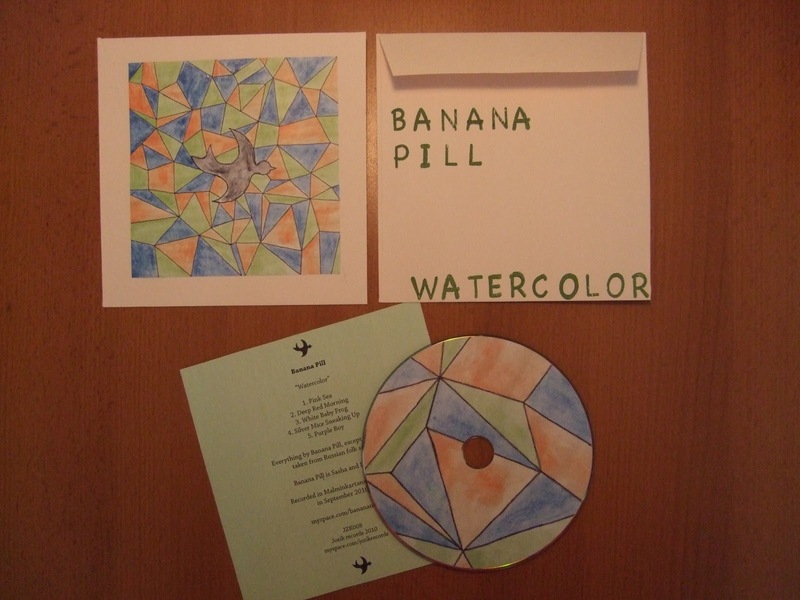 I had to put together more of kakaokamkami "Snowballs" CD-Rs, finish sewing envelopes for the 4-way split and most importantly make the whole new design for the new Banana Pill CD-R.
We finished recording our material for the new CD-R on saturday. And last night, finally, Mitya has finished mastering the tracks and i finished the cover design. Now all i need to do is to cut out the rest of the inserts and to attach the CD-stickers. 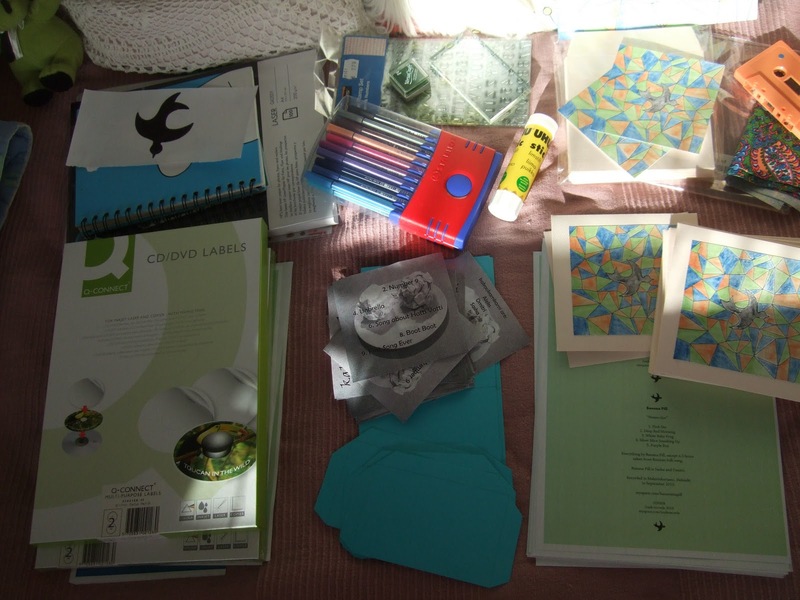 I bought the pink envelopes for the CDs from the local craft shop Askarelli. The painting for the front cover is done by me, except that as a sample of a bird i used some image i found on the internet. The back cover text was made using letter stamps i bought from the other craft shop Tiimari. 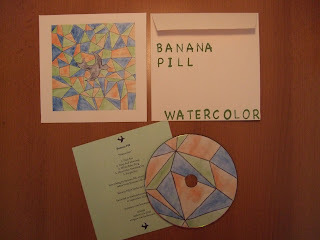 I tried to design it so that i can make the covers and CDs fast, cause we have to have these on our tour. On friday we are leaving for our tour as Banana Pill. We'll perform in Estonia, Lithuania and Germany. 7 concerts altogether, including the start-of-the-tour performance in Myymälä2 gallery in Helsinki on thursday. I hope we will not be totally broke when we come back.